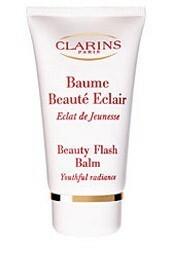 Духи Clarins (Кларанс). Началом производства серии духов был 1954 год. Известность компании принесли парфюмы, которые были выпущены специально для молодых мам. Сегодня же бренд выпускает туалетную воду для женщин всего мира. Одеколон, благодаря своему аромату, дарит настоящие женские нотки, чувства легкости и нежности. Они стоят того, чтобы, не задумываясь, заказать и купить в интернет-магазине страны. Цену на определённую модель можно посмотреть на официальном сайте, где представлен широкий каталог недорогой продукции. Также можно приобрести её и в Москве. Согласно отзывам, ароматы выражают чистоту эмоций, любовь и романтические чувства. На нашем сайте вы можете оформить заказ на популярную косметику представленного бренда: EYE CONTOUR BALM FOR ALL SKIN TYPES 20ml Тестер, Gentle Refiner 50ml Тестер, SKIN-SMOOTHING EYE MASK 30ml Тестер, Multi-Active Day Early Wrinkle Correction Cream-Gel (n/comb skin) 50ml, CLEANSING MILK WITH ALPINE HERBS 200ml for dry or normal skin Тестер, CLEANSING MILK WITH GENTIAN FOR COMBINATION OR OILY SKIN 200ml Тестер, Daily Energizer Wake-Up Booster 125ml, One-Step Gentile Exfoliating Cleanser with Orange Extract 125ml Тестер, GENTLE EYE MAKE-UP REMOVER LOTION 125ml, Normal to Dry Skin Cleansing Bag 200ml + 200ml + 30ml, GENTLE FOAMING CLEANSER DRY OR SENSITIVE SKIN 125ml, INSTANT EYE MAKE-UP REMOVER 125ml, Multi-Active Day Cream Gel Protection Plus 50ml, TONING LOTION FOR COMBINATION / OILY SKIN 200ml, TONING LOTION FOR DRY / NORMAL SKIN 200ml, EYE CONTOUR GEL 20ml Тестер, Hydration-Plus Moisture Lotion 50ML, Contouring Facial Lift 50ml, Super Restorative Replenishing Comfort Mask 75ml, Fix Make - Up 30ml Тестер, Body Bust Beauty Firming Lotion50ml Тестер, Body Relax Treatment Oil 100ml Тестер, Body Treatment Oil Tonic 100ml, SUN Auto-Bronzant Gel Express 125ml, Men Moisture Balm 50ml Тестер, MEN Total Shampoo 200ml, Men Deodorant Stik antiperspir75ml, MEN Shower Scrub 200ml, MEN Shower Scrub 200ml Тестер, Men Nettoyant Visage/Active Face Wash 125ml, MEN Smooth Shavу Foaming Gel 150ml, Men Skin Difference 30ml Тестер, Men Moisture Balm 50ml, Extra-Firming Night Cream 50ml (All skin type) Тестер, Extra-Firming Night Cream 50ml (dry type skin) Тестер, Men Deodorant Stik antiperspir75ml Тестер, Body Bust Beauty Firming Lotion 50ml, Multi-Active Day Early Wrinkle Correction Cream (all skin types) 50ml, Beauty Flash Balm 50ml, Body Deodorant Roll antiperspir 50ml, Body Deodorant Stick antiperspir 50ml, Body Moisture-Rich Body Lotion 200ml, Body Satin-Smooth Body Lotion 200ml, Body Hand & Nail Treatment Cream 100ml Тестер, Body Hand Age-Control Lotion SPF15 75ml, Body Foot Beauty Treatment Cream 125ml, Extra-Firming Concentrate with Plant Auxins 30ml, Extra-Firming Day Cream (all type skin) 50ml Тестер, Extra-Firming Day Cream (dry type skin) 50ml Тестер, Advanced Extra-Firming Day Lotion SPF 15 (all type skin) 50ml Тестер, Extra-Firming Neck Cream 50ml Тестер, Hydration-Plus Moisture Lotion SPF 15 50ml, Men Deodorant Roll antiperspir 50ml, MEN Line-Control Cream 50ml, Men Active Face Scrub 50ml, Men UV Protection Balm 30ml, MEN Shave Ease Two-in-One Oil 30ml, Men Moisture Gel 50ml, Multi-Active Day Early Wrinkle Correction Cream (all skin types) 50ml Тестер, HydraQuench Cooling Cream-Gel 50ml Тестер, Blemish Control 2 * 5ml, Super Restorative Day Cream 50ml Тестер, Body Relaxing Polisher 250ml, Eye Revive Beauty Flash 20ml Тестер, Eye Contour Balm Special fine lines 20ml Тестер, MEN Line-Control Balm 50ml, Expertise 3P. Screen Mist 100ml, Body Tonic Polisher 250ml, Body Renew-Plus Body Serum 125ml Тестер, Body Deodorant Roll antiperspir 50ml Тестер, Body Bust Beauty Extra-Lift Gel 50ml, INSTANT EYE MAKE-UP REMOVER 125ml Тестер, Body Toning Balm (with essential oil) 200ml, Body Relaxing Balm (with essential oil) 200ml, Body Deodorant Cream antiperspir 50ml, Men Moisture Gel 50ml Тестер, MEN After Shave Energizer 100ml, Body Gift 7предметов, Super Restorative Serum 30ml Тестер, Water Comfort One-Step Cleanser 200ml, Water Purify One-Step Cleanser 200ml, MEN Line-Control Eye Balm 20ml Тестер, Body Smoothing Scrub For a New Skin 200ml, Body Treatment Oil Anti-Eau 100ml, SUN Body Delicious Self Tanning Cream 125ml, Gentle Foaming Cleanser with Cottonseed for Normal/ Combination Skin 125ml, Body Strech Mark Control 200ml Тестер, Body Extra-Firming Body Lotion 200ml Тестер, Body Extra-Firming Body Lotion 200ml, Body Treatment. Beautiful Beginnings 7предметов, Body Eau Ensoleillante Moisturizing Lotion 200ml Тестер, Body Treatment Oil Tonic 100ml Тестер, Beauty Flash Balm 50ml Тестер, Super Restorative Replenishing Comfort Mask 75ml Тестер, Body High Definition Lift 200ml, Men Revitalizing Gel 50ml, Body Eau Ensoleillante Moisturizing Lotion 200ml, Body Extra-Firming Body Cream (dry) 200ml, Body Energizing Emulsion 125ml, Body Super Restorative Redefining Body Care 200ml Тестер, HydraQuench Rich Cream 50ml Тестер, HydraQuench Cream SPF15 50ml Тестер, Body Rebalancing Fragrance 100ml, Body Rebalancing Fragrance 100ml Тестер, Younger Longer Balm 50ml Тестер, Vital Light Night Revitalizing Anti-Ageing Cream 50ml, HydraQuench Intensive Serum Bi-Phase 30ml, HydraQuench Lotion SPF 15 (Тестер) 50ml, Extra- Firming Tightening Lift Botanical Serum 30ml, Body Treatment Oil Anti-Eau 100ml Тестер, HydraQuench Moisture Replenishing Lip Balm 15ml, EYE CONTOUR GEL 20ml, Day Screen High Protection SPF40 30ml Тестер, Super Restorative Serum 30ml, Extra-Firming Botanical Intensive Care (Double Serum Generation 6), Younger Longer Balm 50ml, Body Smoothing Scrub For a New Skin 200ml Тестер, Body Silky-Smooth Cream 100ml Тестер, Body Moisture-Rich Body Lotion 200ml Тестер, Super Restorative Tinted Cream 40ml Тестер 01 Opal, HydraQuench Cream 50ml Тестер, Body Bust Beauty Extra-Lift Gel 50ml Тестер, Super Restorative Day Cream SPF20 50ml Тестер, Eye Revive Beauty Flash 20ml, SKIN-SMOOTHING EYE MASK 30ml, Eye Contour Balm Special fine lines 20ml, EYE CONTOUR BALM FOR ALL SKIN TYPES 20ml, Advanced Extra-Firming Eye Contour Cream 20ml, Advanced Extra-Firming Eye Contour Serum 20ml, Super-Restorative Total Eye Concentrate 15ml, CLEANSING MILK WITH ALPINE HERBS 200ml for dry or normal skin, CLEANSING MILK WITH GENTIAN FOR COMBINATION OR OILY SKIN 200ml, ONE-STEP FACIAL CLEANSER 200ml, One-Step Gentile Exfoliating Cleanser with Orange Extract 125ml, Pure Melt Cleansing Gel 125ml, Pure and Radiant Mask with Pink Clay 50ml, EXTRA-COMFORT TONING LOTION 200ml for dry skin, EXTRA-COMFORT CLEANSING CREAM 125ml Тестер, Gentle Peeling 50ml, Hydra-Matte Lotion (comb. skin) 50ml, Multi-Active Day Early Wrinkle Correction Cream-Gel (n/comb skin) 50ml Тестер, Multi-Active Skin Renewal Serum 30ml Тестер, Multi-Active Day Early Wrinkle Correction Lotion SPF15 (all skin types) 50ml Тестер, MEN Body Moisture Spray 150ml, Extra-Firming Night Cream 50ml (dry type skin), Extra-Firming Night Cream 50ml (All skin type), Extra-Firming Day Cream (dry type skin) 50ml, Extra-Firming Day Cream (all type skin) 50ml, Advanced Extra-Firming Day Lotion SPF 15 (all type skin) 50ml, Super Restorative Day Cream 50ml, Super Restorative Day Cream SPF20 50ml, Super Restorative Night Cream 50ml, Extra-Firming Neck Cream 50ml, Body Hand & Nail Treatment Cream 100ml, Body Shaping Cream 200ml, Body Silky-Smooth Cream 200ml, Body Eau Ressourcante Moisturizing Body Lotion 250ml, Body Strech Mark Control 200ml, Body Super Restorative Redefining Care 200ml, Body Shaping Supplement 2*25ml, Body Firming Cream 200ml, Body Renew-Plus Body Serum (Age-Defying Concentrate) 200ml Тестер, Body Renew-Plus Body Serum (Age-Defying Concentrate) 200ml, Body Silky-Smooth Bath & Shower Milk 150ml, Body Tonic Polisher 250ml Тестер, Body Relaxing Polisher 250ml Тестер, GENTLE EYE MAKE-UP REMOVER LOTION 125ml Тестер, Water Purify One-Step Cleanser 200ml Тестер, Water Comfort One-Step Cleanser 200ml Тестер, TONING LOTION FOR COMBINATION / OILY SKIN 200ml Тестер, TONING LOTION FOR DRY / NORMAL SKIN 200ml Тестер, Pure Melt Cleansing Gel 125ml Тестер, GENTLE FOAMING CLEANSER DRY OR SENSITIVE SKIN 125ml Тестер, Gentle Foaming Cleanser with Tamarind for Combination/ Oily Skin 125 ml Тестер, Gentle Foaming Cleanser with Cottonseed for Normal/ Combination Skin 125ml Тестер, Super Restorative Day Cream (Very Dry Skin) 50ml, Super Restorative Day Cream (Very Dry Skin) 50ml Тестер, Super Restorative Wake-Up Lotion 125ml, Super Restorative Wake-Up Lotion 125ml Тестер, Super Restorative Decollete&Neck Concentrate 50ml, Super Restorative Day. 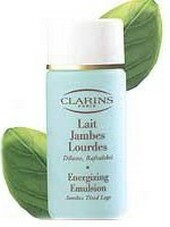 Gift 50ml + 15ml + 15ml, Super Restorative Day. Travel Gift 50ml + 15ml + 3ml, HydraQuench Intensive Serum Bi-Phase 30ml Тестер, Pure and Radiant Mask with Pink Clay 50ml Тестер, MEN After Shave Soother 75ml, Sun Care Soothing Cream Low Protection SPF10 200ml Тестер, Multi-Active Night Youth Recovery Comfort Cream (normal/dry skin) 50ml, Extra firming lip & contour balm 15ml, Men Revitalizing Gel 50ml Тестер, MEN Line-Control Balm 50ml Тестер, MEN Line-Control Cream 50ml Тестер, MEN Anti-Fatigue Eye Serum 20ml Тестер, MEN After Shave Soother 75ml Тестер, MEN Smooth Shavу Foaming Gel 150ml Тестер, HydraQuench Cooling Cream-Gel 50ml, HydraQuench Cream 50ml, HydraQuench Rich Cream 50ml, HydraQuench Lotion SPF 15 50ml, HydraQuench Cream SPF15 50ml, MEN Shave Ease Two-in-One Oil 30ml Тестер, Blemish Control 2 * 5ml Тестер, Pore Minimizing Serum 30ml Тесетр, Day Screen High Protection SPF40 30ml, Gentle Foaming Cleanser with Tamarind for Combination/ Oily Skin 125 ml, Gentle Refiner 50ml, HydraQuench Cream-Mask 75ml, Contouring Facial Lift 50ml Тестер, Super Restorative Night Wear (very dry skin) 50ml, Extra-Firming Age-Control Lip & Conture Care 20ml, MEN Anti-Fatigue Eye Serum 20ml, MEN Line-Control Eye Balm 20ml, Men Deodorant Roll antiperspir 50ml Тестер, Advanced Extra-Firming Eye Contour Cream 20ml Тестер, Extra-Firming Day. 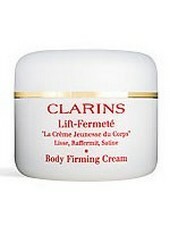 Gift 50ml + 15ml + 15ml, Extra-Firming Day. Travel Gift 50ml + 15ml + 3ml, Vital Light Day Illuminating Anti-Ageing Comfort Cream 50ml, Vital Light Day Illuminating Anti-Ageing Comfort Cream 50ml Тестер, Vital Light Day Illuminating Anti-Ageing Cream 50ml, Vital Light Day Illuminating Anti-Ageing Cream 50ml Тестер, Vital Light Night Revitalizing Anti-Ageing Cream 50ml Тестер, Vital Light Night Revitalizing Anti-Ageing Comfort Cream 50ml, Vital Light Night Revitalizing Anti-Ageing Comfort Cream 50ml Тестер, Daily Energizer Lotion SPF15 30ml, Daily Energizer Cream 30ml, Daily Energizer Cream 30ml Тестер, Daily Energizer Cream-Gel 30ml, Daily Energizer Cream-Gel 30ml Тестер, HydraQuench Cream. 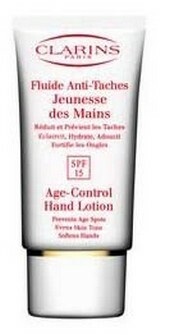 Gift 50ml + 15ml + 15ml, HydraQuench Cream. Travel Gift 50ml + 15ml + 3ml, Ultra-Matte Rebalancing Lotion (Oily Skin) 50ml, Combination to Oily Skin Cleansing Bag 200ml + 200ml + 30ml, Daily Energizer Cleansing Gel 75ml, Daily Energizer Cleansing Gel 75ml Тестер, Gentle Exfoliator Brightening Tonner 125ml, Multi-Active Day Early Wrinkle Correction Lotion SPF15 (all skin types) 50ml, Multi-Active Skin Renewal Serum 30ml, MEN Body Moisture Spray 150ml Тестер, MEN Revitalizing. Travel Set 50ml + 30ml + 12ml, MEN Moisture Gel. Skin Must-Haves Set 50ml + 125ml + 15ml + 30ml, Liquid Bronze Self-Tanning 125ml, Delectable Self Tanning Mousse SPF15 125ml, Multi-Active Night Youth Recovery Comfort Cream (normal/dry skin) 50ml Тестер, Multi-Active Night Youth Recovery Cream (normal/combination skin) 50ml, Multi-Active Night Youth Recovery Cream (normal/combination skin) 50ml Тестер, Multi-Active Day Correction. 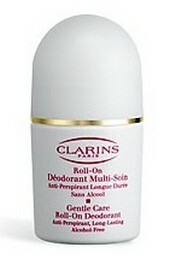 Gift 50ml + 15ml + 10ml, Multi-Active Day Correction. Travel Gift 50ml + 15ml + 3ml, Gentle Night Cream 50ml Тестер, Face Trearment Oil 30ml Тестер, Instant Smooth Self Tanning 30ml, Clarins Body High Definition Body Lift. 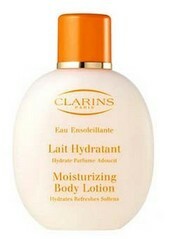 Set 200ml + 100ml, Clarins Body High Definition Body Lift. 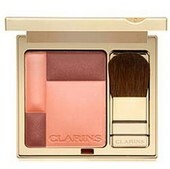 Set200ml + 75ml, Everlasting Foundation SPF 15 30ml., 3-Dot Eye Liner 0.7ml, Bronzing Powder Compact SPF 15 10g., Eyebrow Pencil 1.3g., Shine Stopper Powder Compact 10g., Powder Blush Compact 5g., Loose Powder 30g., Fix Make-Up 30ml Тестер, Extra-Firming Foundation 30ml, Rouge Prodige True-Hold Colour & Shine Lipstick 3g., Blush Prodige Illuminating Cheek Colour 7.5g., Colour Quench Lip Balm 15ml, Double Fix Mascara 9ml., Wonder Length Mascara 6ml, Wonder Perfect Mascara 7ml., Wonder Volume Mascara 7ml, Colour Quartet For Eyes 6g., Eye Pencil 1.2g., ~Fix Make-Up 30ml~, Powder Blush Compact 5g., Bronzing Duo Compact 10g., Bronzing Powder Compact SPF 15 10g., Loose Powder 30g., Powder Compact 10g., Truly Matte Foundation SPF15 30ml., True Radiance Foundation 30ml, Everlasting Foundation SPF 15 30ml., Extra-Firming Foundation 30ml, Super Restorative Foundation SPF 15 30ml., Powder Compact 10g., Shine Stopper Powder Compact 10g., Super Restorative Foundation SPF 15 30ml., True Radiance Foundation 30ml, Truly Matte Foundation SPF15 30ml., Eclat Minute. Instant Light Natural Lip Perfector 12ml, Skin Illusion Natural Radiance Foundation SPF10 30ml, Ombre Minerale Eye Shadow 2g, Extra-Firming Foundation SPF15 (New) 30ml, Wonder Perfect. All About Eyes 7ml + 30ml + 3ml, Passion Make-Up Palette Gift Set, Eye Quartet Mineral Palette 5.2g., Passion Collector Face Palette 11g., Eye Quartet Mineral Palette 5.2g. Тестер, Colour Quench Lip Balm 15ml Тестер, Gloss Prodige Тестер, Ever Matte Skin Balancing Foundation SPF 15 30ml, BB Skin Perfecting Cream. 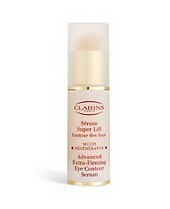 Skin Perfecting Action SPF 25 45ml, Eclat Minute. Instant Light Natural Lip Perfector 12ml Тестер, Rouge Prodige True-Hold Colour & Shine Lipstick 3g. Тестер, Double Fix Mascara 9ml. Тестер, Joli Rouge Brilliant Perfect Lipstick 3.5g, Joli Rouge Brilliant Perfect Lipstick 3.5g Тестер, Joli Rouge Lipstick 3.5g, Joli Rouge Lipstick 3.5g Тестер, Crayon Levres. 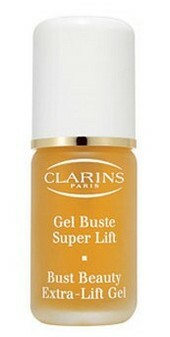 Lip Definer 1.3g, BB Skin Perfecting Cream. 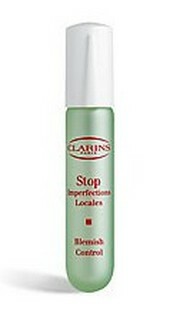 Skin Perfecting Action SPF 25 15ml Тестер, Crayon Levres. 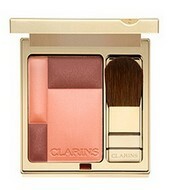 Lip Definer 1.3g Тестер, Blush Prodige Illuminating Cheek Colour 7.5g. 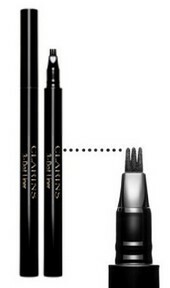 Тестер, 3-Dot Eye Liner 0.7ml Тестер, Instant Liner 1.8ml, Par Amour, Par Amour Toujours.